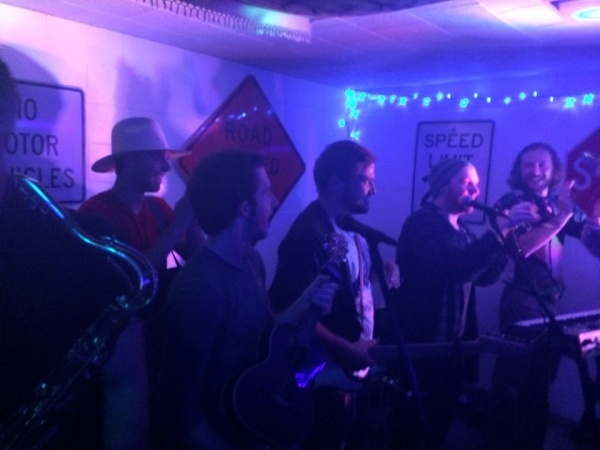 It is always an intimate experience when you get Lenina Crowne and The Fairweather Pilots under one roof and this night was no different. 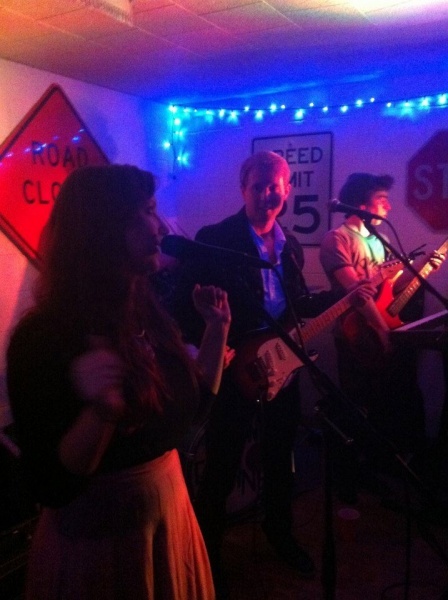 The night kicked off with a band new to the State College music scene, the Velvet Tongues. They played some sweet instrumental jams with guitar and drums, then Simeon Pantelidis, from the Fairweather Pilots, joined the set to do add bass, singing and jumping around. We hope to hear more from this band and watch them grow and develop into something much more. For the second set, The Fairweather Pilots took the stage. Simeon seemed cool and collected laying down a solid bass line. This was only his second live show but he fits seamlessly into the band. Steve Vannelli surprised us with a full drum kit for this show. He hadn’t played a full kit in over two months but he never. missed. a. beat. His excitement was evident in the first two songs. The sound was clear and the rhythm flowed with a motivating, almost pop punk feel. Mr. Ryan Fox killed it on lead guitar. He stuck with the electric for this show, which in my opinion was an excellent choice. Who knew he could shred like that? We were all thoroughly impressed. There was one slight blessing in disguise for the talented, Olivia Price, who just released a single from her upcoming EP Leave. When one of the microphones started acting up, the sound began to fail and it was hard to hear, but then she put her tubes to use. She began to belt the songs like somewhere deep down inside something was aching to escape and out came the most beautiful harmonies. Overall The Fiarweather Pilots put on an amazing show! Lenina Crowne closed out the night with a set that was a treat for fans. *One of the fans had a birthday! He is featured here with the mic! Lead singers Eric Faust and Blake Gifford belted a few catchy originals and inspired some sing-a-longs with the popular covers they play and a few of their more popular originals. Although, the best part of the night came when saxophonist, Nick Rudenko, killed his solo in one of the songs. As soon as the band finished up the song it was obvious that fans wanted an encore. The crowd began to cheer “sax-a-phone! sax-a-phone!” and oh man did they get what they asked for. What followed was a stunning sax solo that was jazz-fingers worthy in minds of many fans. As always, the crowed loved the band and all of the songs that they played! A big thank you goes out to The Fairweather Pilots and Lenina Crowne for putting on a killer show and to The Highlands house and Caleb Young for setting up and hosting this spectacular music filled night. You are all great and I am sure I speak for masses when I say we can’t wait for the next show! Be sure to stay tuned for upcoming shows, events and albums from your favorite local bands!